There’s not much worse than coming through the dreaded teenage acne, to find that your skin suffers almost as much by the time you reach later life. A common complaint of the menopause if that your skin breaks out all over again, due to the changes that your hormones go through at that time in your life. When you go through the menopause, the body experiences an increase in the male hormone testosterone, which can offer trigger skin conditions including acne. But luckily, there are ways to solve the problem if you find that this frustrating menopause symptom is happening to you. According to Business Insider, who spoke to four dermatologists, there are two ‘skincare’ ingredients you should avoid if you want super-smooth skin and a flawless complexion. Dermatologist Debra Jaliman, told the publication that it’s usually best to avoid silicones, which are present in lots of our foundations, and Mica – found in powder products. Mica is a naturally-occuring mineral dust that’s often used in powder foundations, but is often said to irritate acne-prone skin. Silicones are also widely used in make-up, but can clog pores. But one product in make-up could actually help to clear your skin – salicylic acid. In fact, one dermatologist talking to Business Insider even stated that he wouldn’t recommend wearing liquid foundations, unless they contained the ingredient. So what do they suggest instead? Well, according to the dermatologists, one high-street skincare brand is ideal for treating acne at any age. 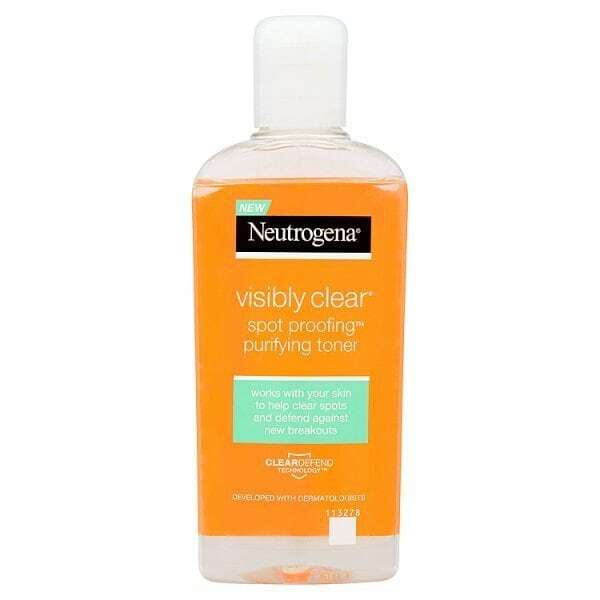 According to Business Insider, the dermatologists suggest turning to Neutrogena products for their use of salicylic acid, which should help to combat the problem of spot-prone skin.